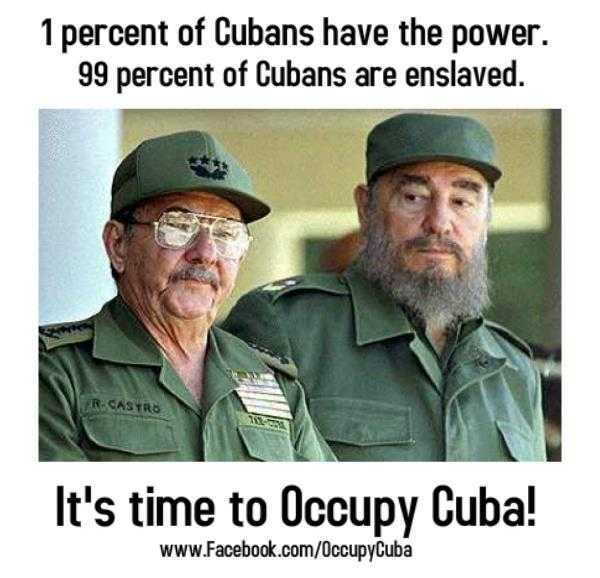 The Cuban people have been enslaved by the castro's long enough. 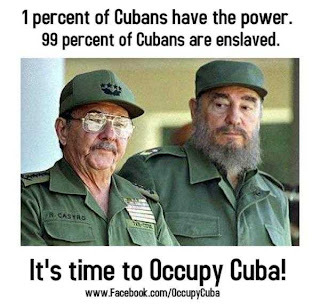 it's time we occupy Cuba. we need to use our freedom and our voices to spread the word about the real cuba. A cuba where women are beaten while going to mass. A Cuba where innocent people are murdered or sent to prison for demanding their human rights be recognized. For demanding freedom. It's time the castro's come to an end. We need to spread the word. On the internet, in the streets, everywhere. We demand freedom for the Cuban people!!!!!! Occupy Cuba!!!!!!!!!! Viva Cuba Libre!!!!!! Zapata Vive y Laura Vive!!!!!!! Libertad!!!!!!!! For all my strong sisters and brothers.